It may be hard to imagine, with a White House filled with shiny red ties and tanning beds, that a president could ever now be considered a style icon. But with John F Kennedy, the youngest and most dashing of all the Commanders-in-Chief, style oozed from the oval office like tweets from a narcissist. JFK was never the most perfectly-primped or sharply tailored of presidents (and he certainly didn’t stand on ceremony to passing fads). But in his louche, simple, deeply functional wardrobe, he led from the front in a way that no president has done since. A great deal of JFK’s style was formed among the cloisters and ivy of Princeton, his Alma Mater. Though a hint of the president’s 1930s upbringing lingered at university through some double-breasted stroller suits, JFK largely embraced the classic, laid back, athletic traditions of the Ivy League wardrobe. The president was known to wear striped “rep” ries and more bookish knitted numbers throughout his time at college, often with oxford shirts and Brit-inflected tweeds. But even after he left, while beginning to make manoeuvres on his political career, the man enjoyed a relaxed and gently dishevelled wardrobe – orduroy or worsted blazers with chipped and broken buttons, casual chinos with turn-ups, slightly battered boat shoes. JFK wanted to remain just on the right side of well-dressed – a man of the people, never a member of the East Coast, metropolitan elite. By the time JFK was installed into the grandest office in politics, he had begun to refine and rethink his style. 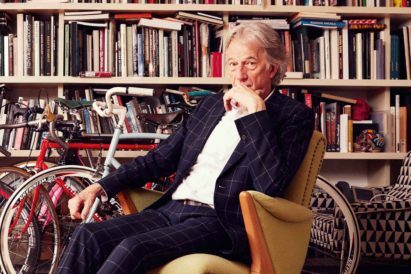 Gone, mostly, were the striped and knitted ties of his youth, and in came the simple, block-colour silk numbers that defined his crisp look. 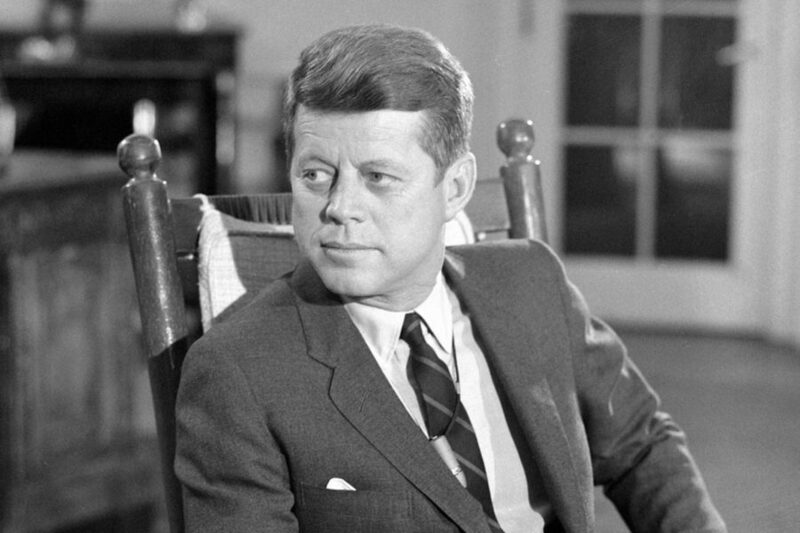 (When he was assassinated, JFK was wearing a dark blue silk tie from Christian Dior.) This development, at least, was a nod to fashion – JFK favoured ties slightly on the slimmer side, in the style of the late fifties and early sixties. Kennedy’s Oval Office uniform consisted overwhelmingly of a white, point-collar shirt beneath a solid dark blue or grey suit (though on some occasions the president sported a subtle pin stripe or a very vague check). Kennedy wanted to be perceived as an enduring and trustworthy statesman, and his suits reflected this workmanlike image – the shoulders had little padding, were slim and straight, and often had no vents. 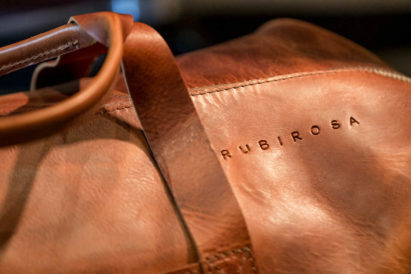 They were always from Brooks Brothers – honest American tailoring for the honest American man. Though he was presented with a top hat at his inauguration, the president was never seen in it. In fact, he declined to wear formal hats altogether – a choice that no doubt played some part in the accessory’s decline across the 1960s. The most enduring images of JFK, however, are those of the man at ease and at play. 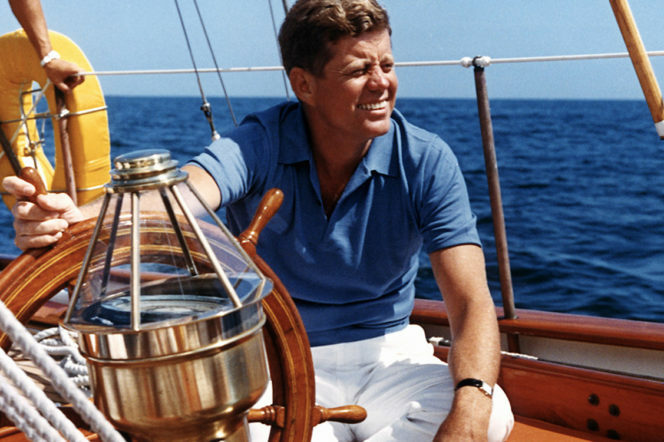 One of Kennedy’s greatest loves was his sailboat Victura, a gift at aged 15 from his father. This nautical influence bled into many of his fashion choices, giving the young President a lightly preppy, summery lean throughout the year. Kennedy favoured polo shirts – both long and short sleeved and in white, blue or grey – below heavy knit sweaters and preppy cardigans. On deck, the president would fight off the New England wind with a G-1 Flight Jacket – a functional, fleece-collared version of the later bomber. 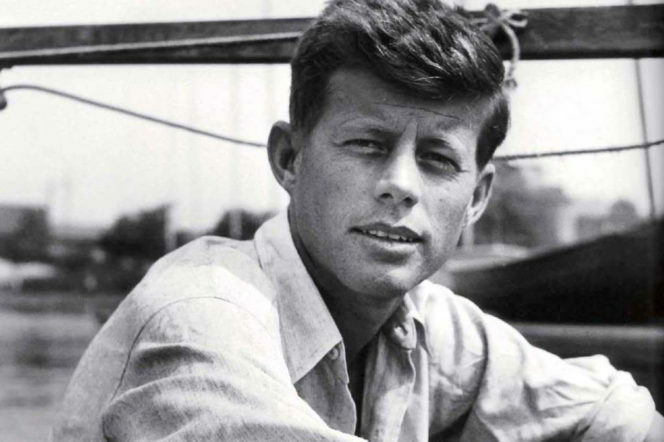 Once ashore, Kennedy would opt for cream or khaki chinos below classic Oxford shirts and ties, perhaps layered neatly with a crewneck sweater. 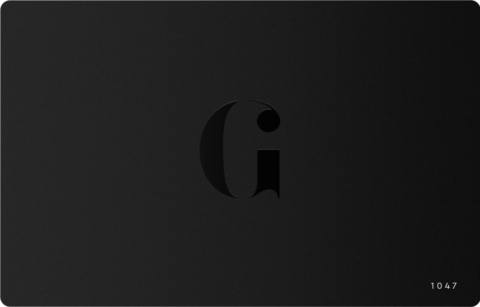 On the floor – penny loafers, docksiders, or scuffed white plimsolls. But the most commonly-emulated trait of this great and natural man of style is based, curiously, on a misapprehension. The tilted, tortoise shell sunglasses that came to define the serene, stately cool of the era were not, in fact, Rayban Wayfarers. Style historians have pinpointed instead the American Optical TC74-51, the Cabana TS 2505, and the Universal Optical “Mansfield Square” glasses as the president’s favourite pairs. But details, details. 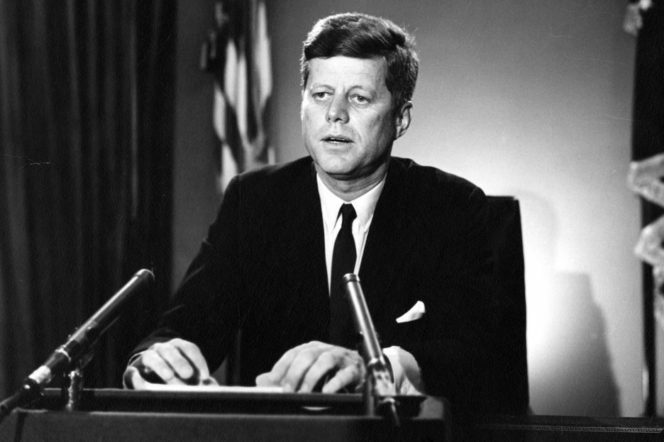 JFK himself – relaxed, pragmatic, unassuming – wouldn’t have minded a jot. For more articles around world leaders, check out our selection on the politics area of our website.